The 2018-2019 Quinnipiac season kicked off this past weekend with a 5-2 exhibition win over the University of Prince Edward Island. Five different bobcat players scored goals as the program looks to turn the program around after the first losing season since Rand Pecknold's second season in Hamden. Scott Davidson had a three point game while Odeen Tufto had two assists and freshman Desi Burgart also chipped in with two assists. Quinnipiac welcomes 12 new faces to a team that struggled to scores goals for much of last season. In order for the team to have success this season a lot of its freshman will have to play big roles. The regular season kicks off next Saturday at Vermont. With the return to hockey means a return to our In the Pipeline piece as many of the future bobcats have been on the ice for almost a month with their respective junior teams. Let's take a look at how they have done so far. 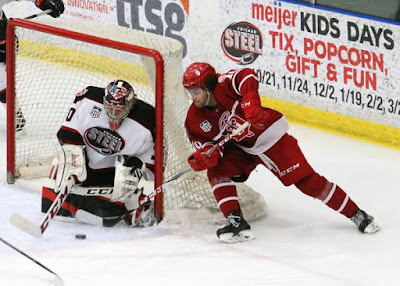 Justin Robbins is back once again for the Chicago Steel and is the starter in goal this season. He has gotten off to a bit of a tough start with a 1-1 record with a 4.42 goals against average and a .848 save percentage. His two games this past weekend were very solid especially on Saturday when he gave up 2 goals on 23 shots in a win over Green Bay. 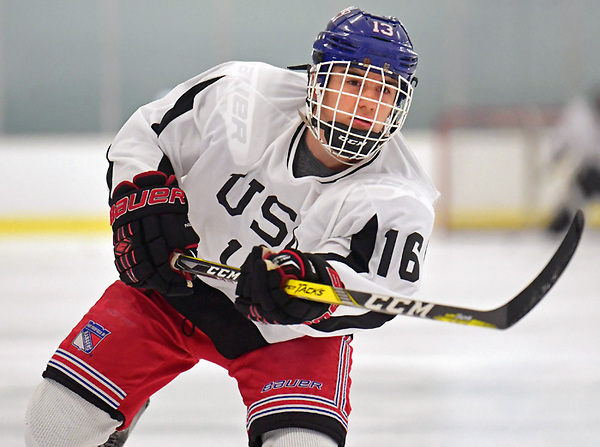 Defenseman Logan Britt made the Lincoln Stars out of camp and has been solid in four games played with two assists. from injury after being the past six weeks and had one assist in two games played. In 28 games played he has 25 points (12 goals, 13 assists). Another player that made the USHL out of camp was Artyom Borshyov for the Tri-City Storm. He has yet to record a point in three games played. This is a big jump for Borshyov after playing in the NCDC had one assist this week for the Fargo Force in two games played. In 43 games, the Sweden native has 28 points (8 goals, 20 assists). Quinnipiac has a handful of it commits this season playing in the BCHL with six of their eighteen commits playing in Western Canada. New England native, Matthew Fawcett has gotten off to a hot start for the Powell River Kings as a rookie with 10 points in his first 10 games played on 3 goals and 7 asssists. Tyler Ghirardosi has also gotten off to a solid start with 7 points (3 goals, 4 assists) in 7 games played for the Trail Smoke Eaters. Skyler Brind'Amour of the Chilliwack Chiefs had a five point weekend as he starts to heat up. In 12 games played, the son of the Carolina Hurricanes head coach has 8 points (2 goals, 6 assists). Corey Clifton in his first junior season with Surrey Eagles has 3 points (1 goal, 2 assists) in 12 games played. 2002 born forward Austin Spiridakis is one of the younger players in the BCHL playing with the Alberni Valley Bulldogs. The Alberta native has a goal and an assist in nine games played so far this season. PJ Fletcher made the trek out west to the Wenatchee Wild but has yet to record a point in 11 games played. He played for the Select Academy at South Kent U-16 team a year ago. Nick Kent was traded in the off season from the Wenatchee Wild (BCHL) to the Buffalo Jr. Sabres of the Ontario Junior Hockey League. The defenseman has gotten off to a solid start with 6 points (1 goal, 5 assists) in 11 games played this season but the OJHL is most definitely a step or two below the BCHL. Cam Boudreau is back again with the Junior Bruins in the NCDC. In 9 games played he has 5 points (2 goals, 3 assists). He was featured in a subscription article in the New England Hockey Journal by Jeff Cox. John Campomenosi after graduating from Don Bosco Prep is now playing full time for the Jersey Hitmen NCDC team. He has four assists in 10 games played this season. Connor Tait is off to a slow start for the Jersey Hitmen NCDC team. In 8 games played he has a single assist. Victor Czerneckianair is off to a very good start for the Selects Academy at South Kent U-16 program. In 15 games played, the Southington, CT native has 21 points (12 goals, 9 assists). This does not include his stats from this past weekend as they have not yet been made available. Jack Silich is off to a blazing start this season for the Chicago Mission Under 15 team. In 22 games played this season he has 39 points on 18 goals and 21 assists. If he continues this pace he should get an invite for the NTDP evaluation camp. Liam McLinskey is playing midget hockey for the Jersey Hitmen U-18 team prior to the Don Bosco season. The Pearl River, NY native is off to a good start with 7 points (4 goals, 3 assists) in 6 games played this season. Oscar Plandowski is off to a hot start from the blue line averaging over a point per game. In 14 games played he has 16 points (3 goals, 13 assists). for the Selects Academy at South Kent School U-15 team. Jacob Quillan who will attend the Salisbury School is playing for the short season Yale Hockey U-16 team but no stats are available as of now. Quinnipiac lost a pair of commits in the past few months with the decommitments of Dom Fensore who then committed to Boston University and Ethan Phillips who is currently uncommitted. Both of them couldn't fight off the wolves in the college hockey recruiting world.